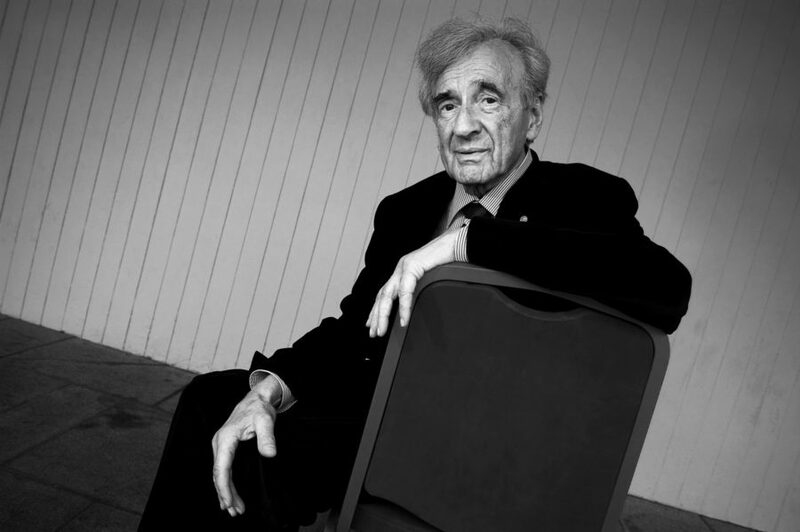 “When words bring you closer to the prisoner in his cell, to the patient who is dying on his bed alone, to the starving child, then it’s a prayer.” Elie Wiesel, the beloved writer known for his memoir of the Holocaust, “Night,” speaks of the power of prayer and forgiveness in the wake of profound suffering. Image by Stanislav Krupar/Redux, © All Rights Reserved. 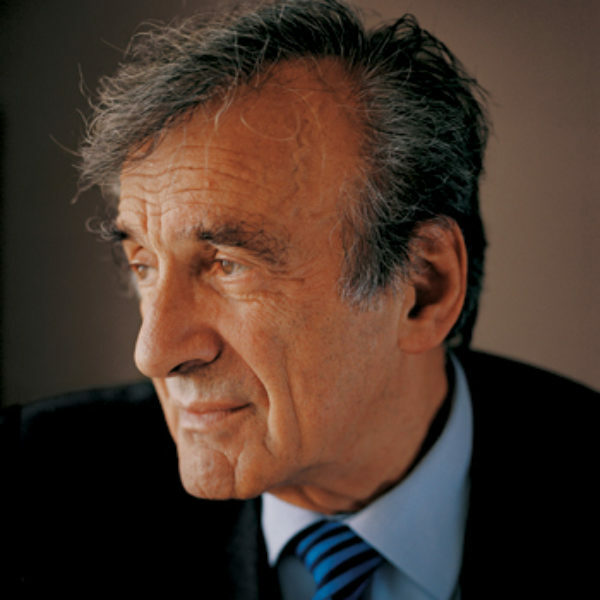 Elie Wiesel was a writer, professor, political activist, and Holocaust survivor. He received the Congressional Medal of Honor and the Nobel Peace Prize, and was Andrew W. Mellon Professor in the Humanities at Boston University. Elie Wiesel ever after enriched my understanding of prayer and forgiveness and the problem of evil, which was nowhere more embodied in the 20th century than in Germany, where I first encountered him as a young journalist in divided Berlin. MR. ELIE WIESEL: Germany, you were there, and I was there once visiting. I am asked occasionally, do you forgive? Who am I to forgive? I am not God. I don’t believe in collective guilt. MR. WIESEL: First time in Berlin. MS. TIPPETT:How did you respond to that student? I went back to Berlin for the last time in the year 2000, January 27. The Bundestag, which is the parliament, came to Berlin for the first time. They had a session, the parliament, in the Reichstag in Berlin, and they invited me to speak. And I came. The 27th of January. At the end of my speech, I turned to the president, who was there, and the entire government and diplomatic corps. I said, “Mr. President, why not ask the Jewish people for forgiveness? I’m not sure the Jewish people can accept, but why not ask?” A week later, he went to Israel, to Jerusalem. He went to the parliament and he asked for forgiveness. MS. TIPPETT:That trip was a result of your speech. MR. WIESEL: I think so. So I felt good. MS. TIPPETT:Is “forgiveness” a big enough word or a good enough word for this? MR. WIESEL: No, I cannot. No, I cannot forgive. MS. TIPPETT:You said you can’t forgive. So if you can’t forgive, what can you do? What is the endeavor, the holy endeavor? MR. WIESEL: This is the aim — first of all, to tell the truth, and to sensitize other people not to do the same thing. We aren’t here to forgive. We are, in the Jewish faith, on the eve of Yom Kippur, which is the holiest day of the year, and we plead with God for forgiveness, and God forgives, I hope. But one thing He does not forgive: the evil I have done to other fellow human beings. Only they can forgive. If I do something bad to you, I cannot ask God to forgive me. You must forgive me. MS. TIPPETT:That’s much harder, much more exacting. I wondered if I could ask you to read the prayer that I found in your book One Generation After. You talked a lot in Night — and we talked about this already — about struggling with prayer, to be able to pray or not, or what it meant. And I think this was a prayer that you wrote in a diary. MR. WIESEL: I agree, yeah. MS. TIPPETT:And I wondered if you would read that to me, and talk to me about how you began to pray again, and how you pray differently now because of the life you’ve lived. MR. WIESEL: “I no longer ask You for either happiness or paradise; all I ask of You is to listen and let me be aware and worthy of Your listening. I no longer ask You to resolve my questions, only to receive them and make them part of You. I no longer ask You for either rest or wisdom, I only ask You not to close me to gratitude, be it of the most trivial kind, or to surprise and friendship. Love? Love is not Yours to give. MS. TIPPETT:I’m wanting to ask you if, in this journey from being a person who would say that your faith was gone forever, were there any dramatic moments or turning points where you couldn’t make that statement anymore? MR. WIESEL: I couldn’t make it ten minutes later. At that moment, I made it. And because it was there, I had to make it. But as I said earlier, then I went back to prayer. What is prayer? You take words, everyday words, and all of a sudden they become holy. Why? Because there is something that separates one word from another and then you try to fill the vacuum. With what? With whom? With what memory? With what aspiration? So when words bring you closer to the prisoner in his cell, to the patient who is dying on his bed alone, to the starving child, then it’s a prayer.